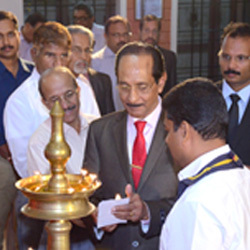 OurClub was formed by a group of like-minded members with an intention to render Social Service to people in and around the northern part of calicut under the guidance of our Mother Club 'LIONS CLUB OF CALICUT' . We came out successful in forming the new club 'LIONS CLUB OF CALICUT NORTH' and within a short span of time our good intentions and deeds were noticed by others .Now we have 35 dedicated and energetic members. We have taken Oath that we shall be happy and will make Others Happy by Touching Every Heart.